With Professor Hofstede and colleagues from itim (In Prague). Why did Yoshiko Kurisaki start Europe-Japan Dynamics? Yoshiko started a professional life in Nippon Telegraph and Telephone Corp. (NTT) in April 1978. She was one of the three women among 330 young people fresh from the universities hired by NTT at the same time. In NTT, Yoshiko has learned the Japanese way of working as an insider; how to work with colleagues and bosses, how to write a “Ringi-sho” (a document that is circulated to ensure an agreement of a meeting or an action), how to express one’s opinion in and outside meetings, and so on. She learnt from A to Z needed to work in the Japanese business culture. 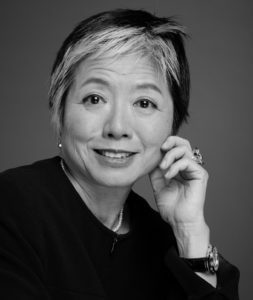 In 1989, Yoshiko left Tokyo for Paris to join in the OECD (Paris) as an economist specialized in Information and Communications Technology sector. She thus started life in Europe in Paris. Since that time for over 20 years, she has been the only Japanese in a meeting room. She soon realized that the way of working and business communication in Europe are thoroughly different from what she had learned in Japan! She worked hard to adjust to European business culture. Moving to a unique multi-national company, SITA (Switzerland) in 1994, Yoshiko found that understanding and working with Japanese business culture are big challenge for many European people. She also learned through experience the benefits of working together of a variety of nationalities from 230 countries and territories. One may obtain good ideas by going out of the cultural zone that had placed boundaries in thoughts. Yoshiko wishes people to enjoy benefits of open-mindedness in business. She knows that there are obstacles in working across different cultures. She also knows that such obstacles will turn into innovation, because one grows mindset to go beyond his/her box. This is the way to make “one plus one equal to more than two”. To make it happen, she has decided to launch Europe-Japan Dynamics to work closely with people working between Europe and Japan. She offers resources from her first-hand business experience in Europe and Japan that lasted for over 25 years. Checking theory against reality is the methodology built-in all her work. With this approach, she successfully derives actionable recommendations from healthy judgements.